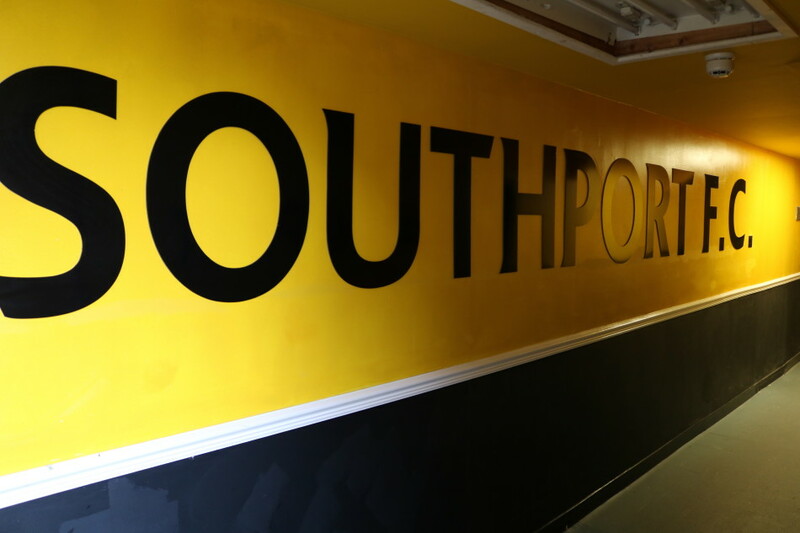 Situated on the 'windy' bit of the north-west coast of England, Southport Football Club is but a stone's throw from many more famous clubs, yet has a long history all of its own. It has designs on joining its near neighbours by regaining football league status after a forty year absence. 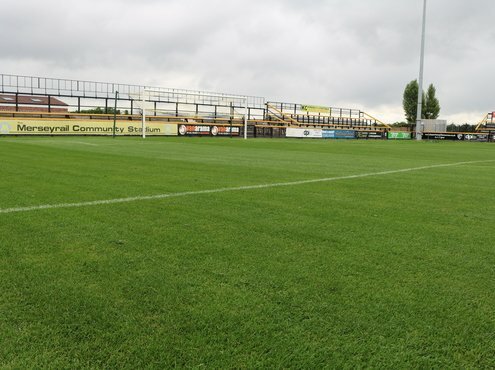 Jake Barrow learns more from the team looking after the Merseyrail Community Stadium. 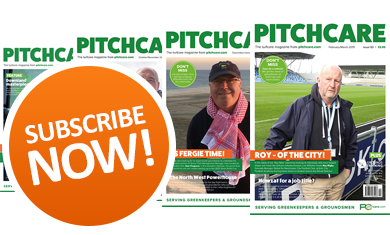 When son-in-law Liam Simpson was made redundant he, together with father-in-law David Massam and brother-in-law Craig Massam (who was already working as a sports groundsman), decided to join forces to create their own family business - Pitch Perfect Ground Maintenance. 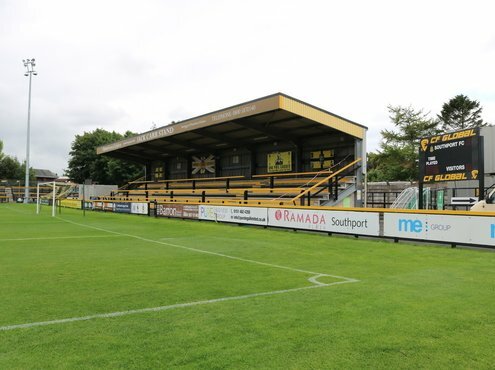 The three always work as a team and contract themselves out to clubs in the greater Southport area, with much of their time spent on the pitch at the home town football club, Southport FC - the Sandgrounders have used the Massams' services for four generations. 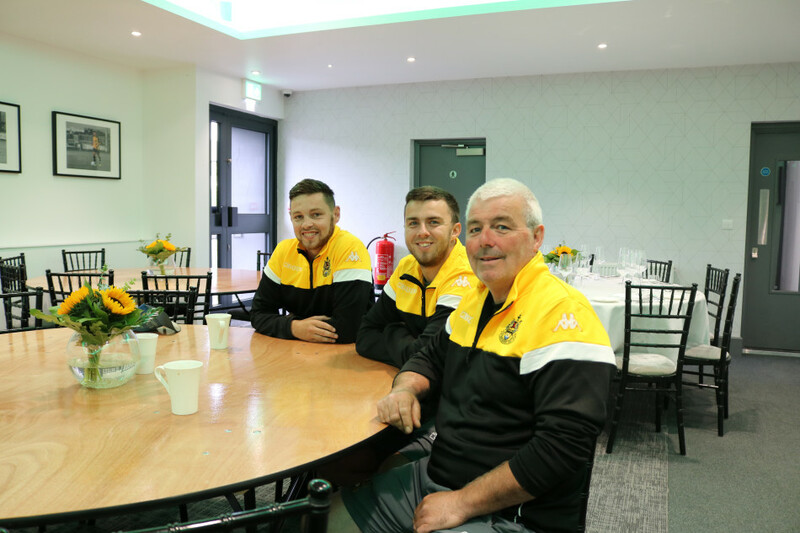 David, Craig and Liam have been directly involved with the club's maintenance for year, and it's as though members of the family just keep joining in. "I'd sooner have it that way," David said. "We all have our moments - me more than any of these two, quite possibly - but, we enjoy it. 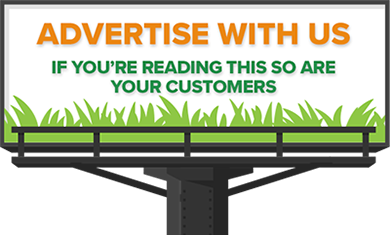 We get a lot of satisfaction from what we do." "We've all been involved in amateur sports teams, and there comes a point when you've put enough time in that you just think you may as well do it as a business." "I think we put the extra effort in because we're related. We tend not to fall out, and there's that pressure on when people you're related to are working with you." "We're a tight-knit sort of family anyway. My six-year-old grandson now comes down on a Saturday morning and puts the corner flags in. Maybe that's the next generation coming through." "When you grow up playing football, you sort of want to even get out on to the pitch to help them in that way too. Not that I think I'd be much use to them at the moment…"
Craig added: "And it's the same with the club too. You get to know the players and the manager at the training ground, and you feel for them when it's not going their way." As elaborated upon below, Southport is a club expected to boom in the next couple of seasons, but it has been in the Massam family for far longer. David's father played for Southport and a couple of Merseyside's other clubs during the 1950s, and David himself played for the club in the 1970s - though it's worth noting that those from Southport generally do not consider themselves 'Merseysiders', and almost none 'Scousers', as they are often erroneously called. As within the populations of Manchester, Wigan, Bolton, Liverpool and others, there is widespread discontent with the Local Government Act 1972's butchering of Lancashire's historical boundaries. "My dad, unfortunately, caught the back end of the war. Like many people of that generation, I suppose, that curtailed his footballing career a little. He played here in his late teens, then did his national service for five years or so. It's a big break from football." "He might otherwise have made a career out of it. He was a centre forward, and everybody tells me he was good. He never told me he was good, but other people did." "He always stayed with the club. He brought us down when Friday night football was a thing. That was a great experience, because the stands were open and there was always a good turnout." That club is very much part of their extended family, and is where we met to discuss their work. 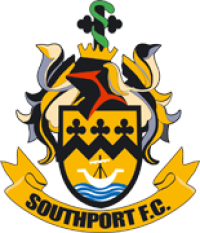 Far from being dispassionate contractors, they were all wearing Southport FC gear during the interview (as well as Liam wearing a Campey Turf Care cap). "Obviously, we take pride in everywhere we work, but we sort of consider this where we work, and we take a major pride in the pitch here," David said. "This year, we'll have the Everton U23s and Everton Ladies on the pitch, both of which may be televised. That's your work on TV, so you feel the responsibility and pride in that." The club has benefitted from, relative to its league, significant investment via some new directors. Their plans on arrival included the now very impressive bar, the seating and structure of the stand and a new pitch, which is imminent. David said: "It's obvious when you walk in that there's been an investment. The comparison between this bar and restaurant now to before the summer is almost unbelievable." "It was like other lower-tier football clubs: dark, old furnishings, not much branding or decoration. Now, as you can see, it's top-of-the-line stuff: it's bright, clean, welcoming." "They're ambitious. They've been perfectly honest about their intentions. They want football league status; that's the end-game. That's two promotions away." "And it seems doable. I don't know what their timeframe is. It's not going to happen overnight, but you couldn't really have a better start than this." "Externally, it's been re-roofed, all the seating has been changed, plus additional modifications here and there to lighting and the rest." "It'll be good for you to see a picture of what it was like before. If you were a punter, you wouldn't have been thrilled to sit here for your drink. But now, you look and think, 'it's flippin' nice, this'." The revamp of the bar and restaurant was not started until around June but, when I arrived in early September, the whole complex had been redone. They hope, therefore, that the pitch will be completed within a couple of months [at time of writing, in early September]: Liam said: "There isn't a pitch construction, as such." "But, they'll likely be replacing the turf, the drainage, the irrigation, and having it levelled off. We don't know about the seeding just yet, but it won't be long until the decision is made. They're talking about including 800 tonnes of sand." And David, 59, added: "It's been like this as long as I can remember coming here, and longer; maybe fifty or sixty years. We've just introduced a lot of sand last year, but that's the major change." 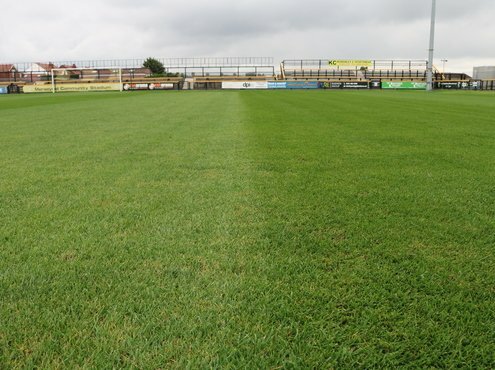 "It drains reasonably well, but it is just the natural turf from when the pitch was originally set up. There are three main drains down: penalty boxes; halfway line; and at the main stand end." "Two small drains were put in at that end because it was a problem corner. The way we get shut of water is a bit ancient; some improvised drainage, and one goes to another." "If it's wet on here, other places will have bigger problems. We're by the beach, maybe about a mile away, and the lower levels are heavily sand-based anyway." Andrew Church of Lancashire Turf Supplies aids with tools such as verti-draining etc., which the team say they undertake regularly. "Andrew has a lot of history with the club too. His great-uncle was the Chairman here back in the club's Football League days, so we work closely with him." 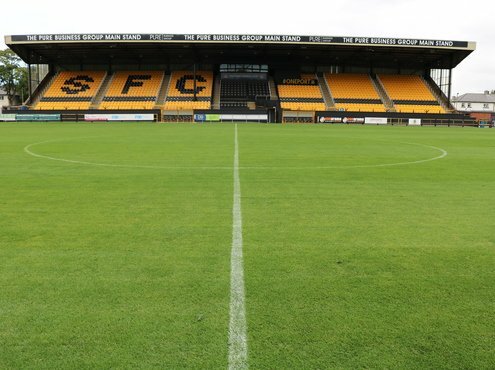 "If this pitch goes in, and we've got both the new drains and a new irrigation system, that will be huge for us, as the new facilities have been massive for the fans." "Whatever we do at renovation, we've still basically got garden sprinklers to try to irrigate the pitch, so that's very time-consuming if we don't get the rain. We do it, and do it well. But, it's hard work." The systems installed will have to contend with a little manmade local topography: "Any water will have to be taken down to a brook about 400 yards away, so that's an added factor." "There've been a lot of considerations, planning-wise. That's why they've waited until this year to do it. They have to run the piping beneath the playing field of the adjoining college, which requires permission. They've worked with the water company to pull that through." "With the U23s and the Ladies playing here, there are going to be a lot of games. We have weeks coming up when there might be games on Saturday, Sunday, Monday, then possibly even Tuesday." The team also look after other local sports surfaces. They don't get any other contracting help besides Andrew's. 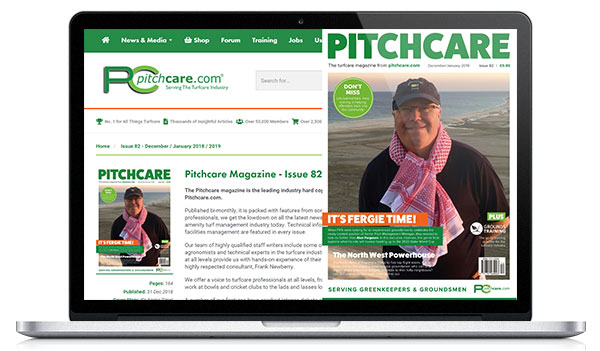 David said: "Everybody in the area knows each other, and the Southport coast is so strong with all the greenkeepers." "It's useful, because the area comes with its own weather challenges. You've got the Lancashire rains, combined with being right on the coast, which means a lot of wind too." "There was a match when I felt sorry for our goalkeeper kicking into gale force wind. Literally, he was struggling to get thirty yards out of the box. You could see the relief on his face at half-time. He thought it was all going to be fine from there on out." "Unfortunately for him, it changed around and pointed the other way. It went from direct westerly to direct easterly in fifteen minutes. I felt so sorry for the lad, because he must have been exhausted trying to kick the ball any distance." "Anyway, it tends to come in westerly and straight in line with the ground like that. So, when we're looking for rain, we look out towards the coast." 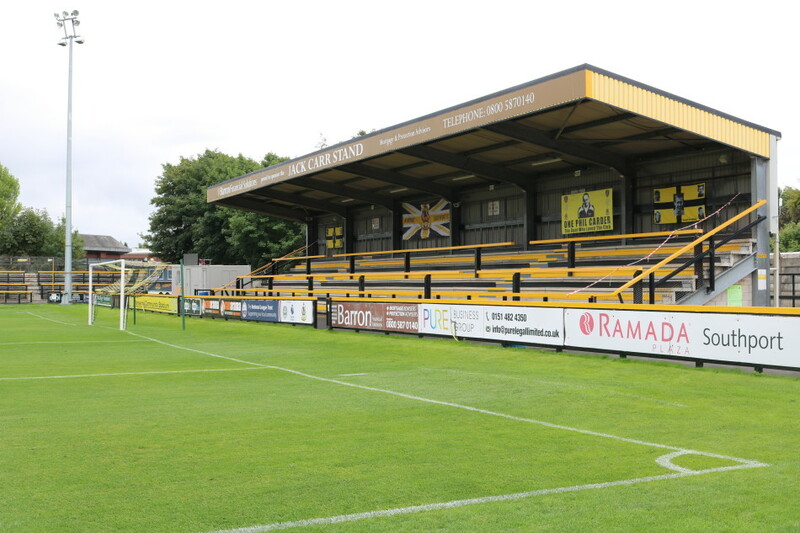 "But that is likely to change, as is the situation we're in where we don't struggle much for shade, because they're projecting ongoing development - eventually, I think, they want to have full-sized stands on all sides of the pitch." Apparently, this 137-year-old club is preparing for the most significant period of change in its history. The one thing that is unlikely to change, it seems, is its partnership with Pitch Perfect Ground Maintenance. When the Local Government Act 1972 came into force, Southport became part of the new administrative county of 'Merseyside'. Previously, it had officially been a Lancashire town since its formation as a bathing centre near the beach, in 1792. It is part of the Metropolitan Borough of Sefton.